There is a total of four sizable bedrooms in this stunning new family home. There are three bathrooms which are all spacious and modern making family living more conformable. This home is very modern and new with beautiful detailing & quality throughout. Situated in an up and coming area with plenty of amazing local features Orewa College and Orewa School. This property is well insulated, there is also heating throughout the home, making it warm in winter, and cool in summer. This home is perfect for the family to enjoy with the spacious living room, open plan kitchen and the double bedrooms. The property is easy to maintain, but also detailed & beautiful to make life easier, and as well as high tech facilities throughout, such as keyless entry, security/alarm & much more. 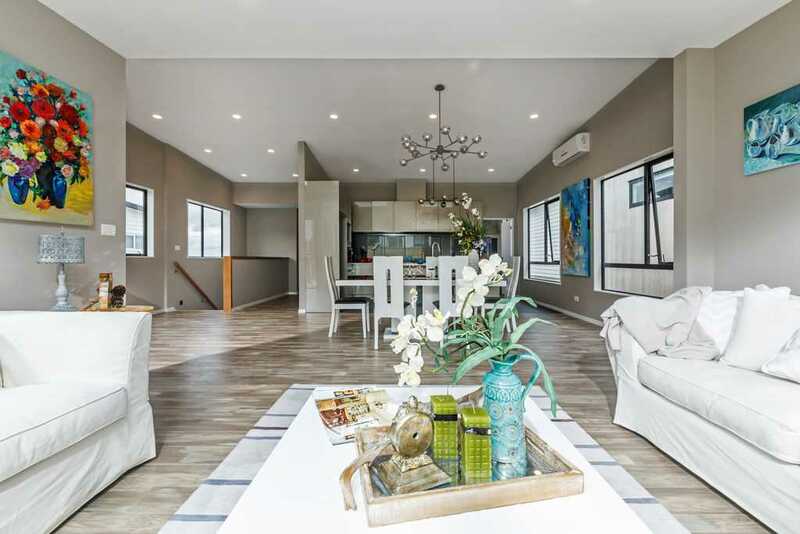 Living in this amazing home you will be located close to beaches such as Red Beach & Orewa Beach, also close to amazing walking tracks such as the Millwater Loop & Wenderholm Walk & delicious cafes! Don't delay, your family haven awaits in such an up & coming area! Contact Sue Jiang today. Saturday 27 Apr 10:30 a.m. - 11:00 a.m.
Sunday 28 Apr 10:30 a.m. - 11:00 a.m.